Natasha Serlin follows five aspiring converts to Judaism, all at different stages along their journeys to conversion. Stepping into the Micvah, the ritual pool, is the final stage of a convert's journey to Judaism. After a full body immersion they are officially Jewish. It is a one way street. Reminding a convert of their past lives or their transition is against Hasidic law. Natasha Serlin, born a Jew, meets the Curtis family, three members all on their own Journey to Judaism. From keeping kosher, memorising the Jewish calendar to learning Hebrew, they must prove themselves devout and observant. Natasha meets Reform Rabbi Dr Andrea Zanardo, mentor to all the prospective converts, who tells her that placing such high demands upon converts is as much about belonging and identifying as Jewish as it is about belief. Natasha questions why her own religion demands such strict observance from converts compared to those born into the faith. 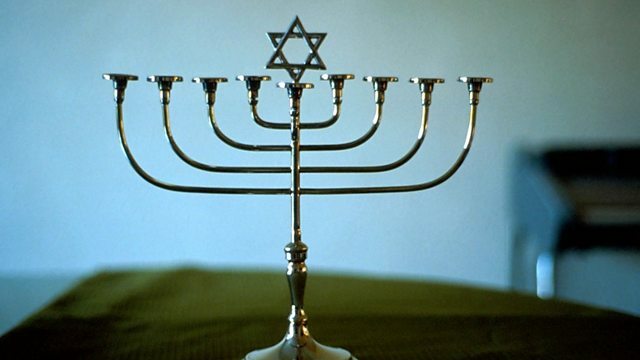 She asks whether Judaism needs to reform its relationship with those wishing to convert. She also explores how this area of Judaism balances a need to maintain numbers, with a desire to only accept those people who are willing to prove they are totally committed to the faith.